This year I’m using more student created math projects in the classroom. Over the past two months my class has had two of these types of projects and both projects were well received. I’m finding that these projects are enabling student to create original digital content. Not only is the content being created by students, but that content is being shared with the world. The assignments align with CCSS and the eight mathematical practices. 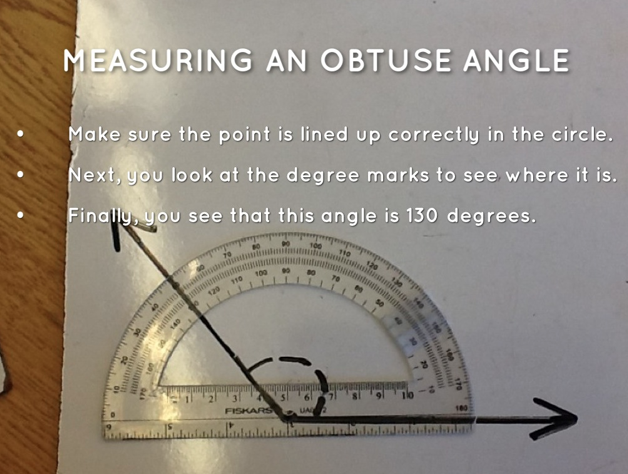 I’m finding that student content creation, whether digital or not, can be utilized to assist in measuring student understanding. I believe that these projects are providing yet another way for students to express and construct a product of their own, while showing mastery of certain math objectives. Since the products are digital, they’ll always be available for students to reflect on and share with others. Our newest project revolves around using the app Haiku Deck. I first found out about it through my amazing PLN and started experimenting with the app. 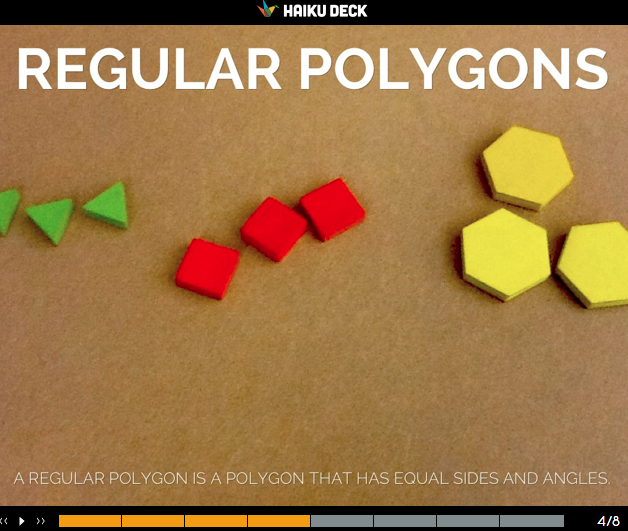 I ended up creating a brief Haiku Deck (see deck below) that communicates the current topics of study in my math class. What’s great is that I’m able to update the deck from my iPad without logging in and changing my website manually. Anyway, I saw the potential that this app had so I decided to use it with my students. For the project, students were given a list of different math objectives for the unit and asked to become “experts” in a certain area. Students were given an opportunity to pick a particular topic and asked to create an instructional presentation on that particular objective. The project was definitely open to interpretation, so I offered a rubric to clarify expectations. Students were expected to create an essential question, brainstorm, collaborate with others, use the peer-review process, and present their projects to the class. Once the students receive the rubric they begin collecting classroom pictures to import into their presentation. Students often gravitate towards taking pictures of different math manipulatives that match their presentation topic. Whiteboards and dry erase markers are also used during this process. The pictures are then imported into the presentations and text is added. Slides are formatted accordingly and a peer edit session ensues before students turn in their projects to Showbie. Afterwards, students complete a reflection sheet that documents their journey during the learning process. This Haiku creation process took my class around two hours to complete over a two-week time period. Feel free to click here or here to see some sample presentations. You’ll find a few example screen shots below.